Žabljak (Montenegrin Cyrillic: Жабљак, [ʒâbʎaːk]) is a small town in northern Montenegro. It has a population of 1,723. Žabljak is the seat of Žabljak Municipality (2011 population: 3,569). 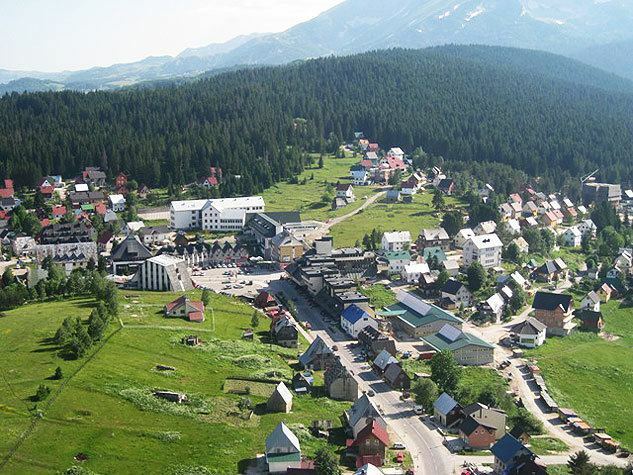 The town is in the centre of the Durmitor mountain region and with an altitude of 1,456 metres, it is the highest situated town on the Balkans. The first Slav name of the place was “Varezina voda” (Варезина вода) possibly because of the strong source of drinkable water nearby, making a settlement possible. Later, the town was renamed “Hanovi” (originally “Anovi”) because it was where caravans rested. The modern name dates from 1870, when in a single day the building of a school, church and captain's home began. 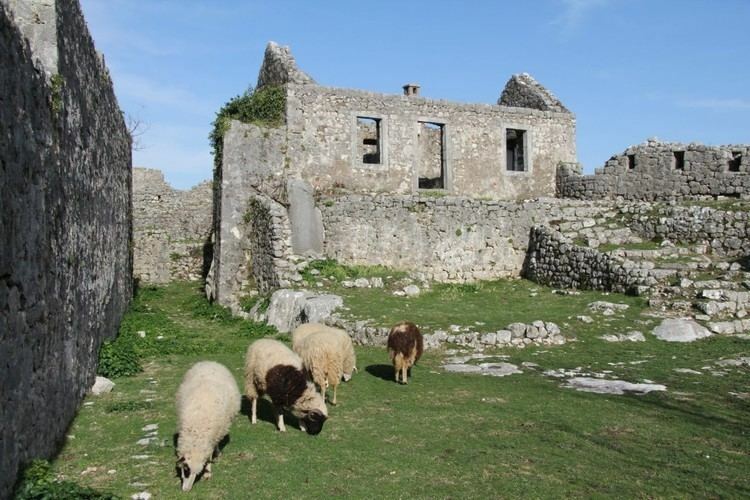 However, almost all the original buildings were destroyed during the Balkan Wars. All that has remained is the old church of Sv. Preobraženje (Holy Transfiguration), built in 1862 as a monument to a Montenegrin victory in the battle against the Ottoman Empire. After Žabljak was established as a town, stores and cafés were opened. As such, in the 1880s Žabljak became a market town, leading it to become administrative center of the region. In the period shortly before World War II, Žabljak was a small town with typical mountain architecture. Its unique nature was already drawing the attention of tourists from the Kingdom of Yugoslavia, and also from abroad, especially Italy (because of close ties between Montenegro and Italy). During World War II, Žabljak was burnt right to its foundations. 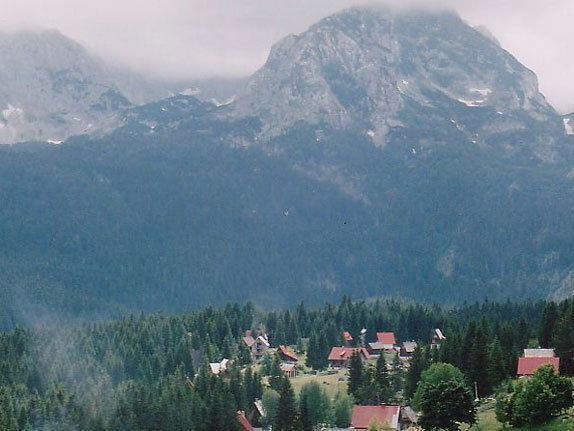 After the war, Žabljak rebuilt itself and became Montenegro's center for winter sports. Žabljak is the administrative centre of the Žabljak municipality, which has a population of 4,204. 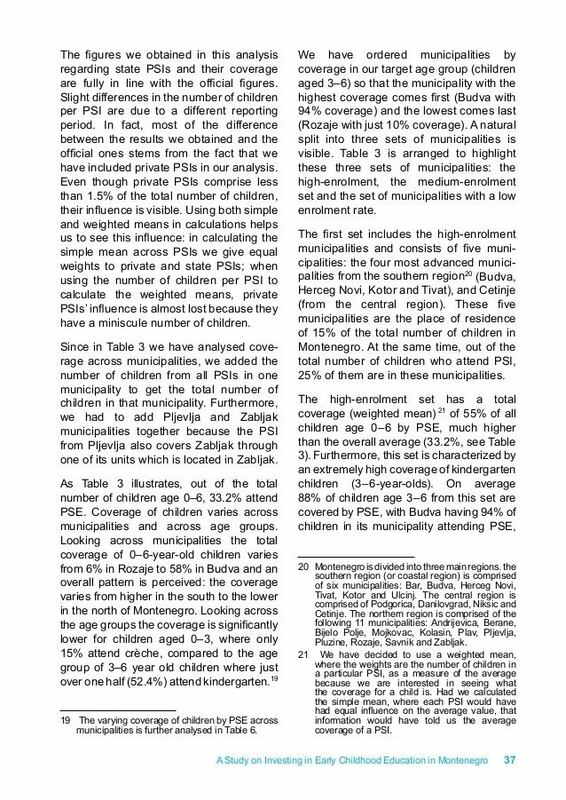 The town of Žabljak itself has a population of 1,937, and there are no other bigger settlements in the region. Žabljak is centre of Montenegro's mountain tourism. 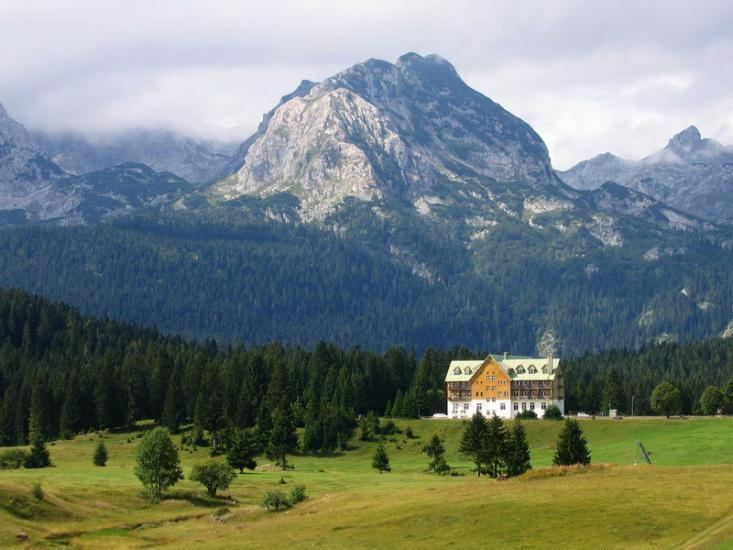 The entire area of Durmitor mountain is protected as a national park, and offers great possibilities for both winter and summer mountain tourism. Skiing - Durmitor's snow cover lasts 120 days per year, with decent slopes such as Savin kuk, Štuoc and Javorovača. Rafting - the 1300 m deep Tara River canyon is the second deepest in the world, and is listed as a UNESCO world heritage site. Rafting on Tara River is one of the most popular tourist activities in Montenegro. Mountaineering - Durmitor's conditions are appropriate for this sport. Hiking - The surrounding area of the town of Žabljak provides hiking paths. Among the main tourist attractions of Durmitor are 18 glacier lakes; the biggest and closest to Žabljak being "Crno jezero" - literally Black lake. Durmitor's slopes are also becoming increasingly popular among snowboarders. One problem hampering the development of Žabljak as major regional mountain tourism destination is the lack of quality road infrastructure. The situation has been improving somewhat in recent years. Žabljak's main road connection with the rest of Montenegro is the road that links Žabljak with Mojkovac and the E65, the main road connection between the Montenegrin coast, Podgorica and the north. The other significant road connection is through Šavnik and Nikšić, on to Risan or Podgorica. Since 2010, with the reconstruction of the Risan-Žabljak road, the average trip from Žabljak to the Adriatic sea is shortened to cca. two hours. The town has an airport (Žabljak Airport) but the closest International Airport is Podgorica Airport some 170 km (110 mi) away which has regular flights to destinations throughout Europe. There are regular minibus links with Nikšić and Podgorica which arrive at the centrally located Žabljak bus station.